Welcome to our Medicare Nutrition Videos section! 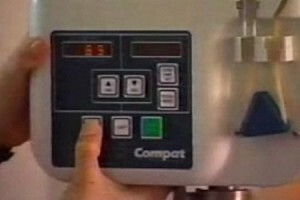 If you are a Medicare beneficiary with enteral nutrition needs, your doctor has prescribed your course of treatment – which may involve the equipment demonstrated below. Please review the training videos in this section. Always remember that manufacturer operating instructions should be left with a responsible person. Never attempt to make repairs on your pump; contact Shield HealthCare at 800.228.7150 for a replacement pump if needed. Take care to never immerse the feeding pump in liquid of any kind, even when cleaning. For more information, for pump assistance, or to speak with a Registered Dietitian or trained Enteral Specialist, contact Shield HealthCare at 800.228.7150. A feeding tube provides a way to obtain life-sustaining nutrients. This method of “eating” bypasses the mouth and esophagus and delivers nutrition directly into your stomach or small intestine. Keeping your feeding tube secure, clean and safe is important! In this section, learn how to care for your tube and the skin around it, how to deliver feedings, help prevent common complications and more. 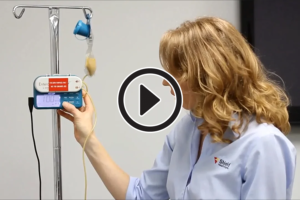 Our Corporate Registered Dietitian explains ENFit, why it's happening and which enteral devices will adopt ENFit connectors in 2017. Watch Shield HealthCare Registered Dietitian’s How to Unclog Your Feeding Tube video with step-by-step instructions on how to unclog your feeding tube. In this video, Amy Long Carerra, MS, RD, goes through the steps of how to gravity feed, and gives tips to make the process go smoothly. 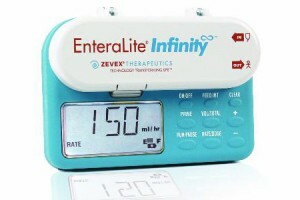 Watch this seven-mintute-long EnteraLite Infinity Pump Training Video, with clear, step-by-step instructions given by a registered dietitian. 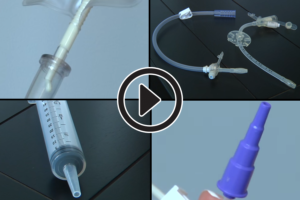 In this video, watch Shield HealthCare's Registered Dietitian's show viewers how to bolus feed , also known as syringe feeding. 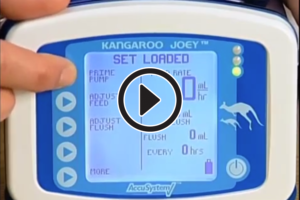 In this article, you can watch a video with Kangaroo Feeding Pump Instructions and information about setting up the pump.